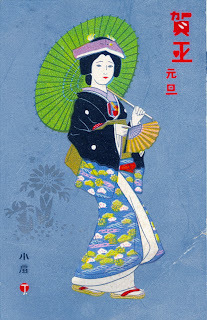 The editor of the PHOTOLOG is currently on vacation in Japan and will return with new posts in December. If you are currently experiencing a case of Photolog-Jones in this absence, please take a tour of our vast archives section positioned at below right. Posted there are volumes of stories and photos of Pop Culture and the music business. This includes stories from the early days at STAX Records, Atlantic Records and photographs both original and the work of noted photo journalist. Future postings will reveal even more untold stories and pix's from being in the rock trenches and told by a veteran record executive. From the days of Twentieth Century Fox Records, the Memphis music scene and the glory days at EMI Records. Stay tuned, the best is yet to come! As the social landscape evolved in the late 60’s and early 70’s, there were peaceful demonstrations combined with social unrest throughout America. At stage front was the youth movement that brought division and anguish to a generation of young baby boomers. While some people appeared uptight after years of social conflict, others were too stoned to notice. 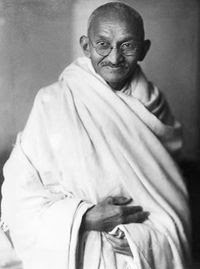 Most people were in exploration for their own identities and expressed themselves peacefully. However this is a story about those who chose to express themselves differently. At the 1968 Summer Olympics, formally known as the Games of the XIX Olympiad held in Mexico City, two African-American Athletes while receiving their Gold and Bronze medals at their awards ceremony, raised their black-gloved fist into the air as a symbol of Black Power. 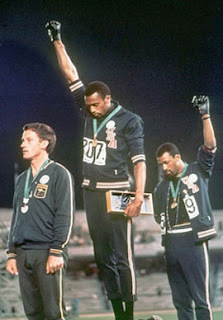 American athletes Tommie Smith (C) and John Carlos (R), gold and bronze medalists in the men's 200-meter race took the podium of the medal ceremony, lowered their heads and defiantly raised their fist as the Star Spangled Banner was played. In this jaw-dropping protest, many felt that a political statement had no place in the international forum of the Olympic Games. Both athletes were then suspended from the U.S. team and banned from the Olympic village. Plus, as a further punishment, the International Olympic Committee banned Smith and Carlos from the Olympics Games for life. These circumstances threw the sporting world into a state of chaos and created an uneasiness among inter-racial relations. In a similar ceremony at the 1968 Games, U.S. heavyweight boxing champ George Foreman after winning the gold medal walked around the boxing ring with a American flag in his hand while bowing respectfully to the audience. Foreman returned to his homeland after the games and was welcomed in a royalty fashion. Yet this lesson would play-out again when in 1972 Stax Records would stage a concert in Los Angeles in commemoration of the seventh anniversary of the Watts riots. Stax Records V.P. Al Bell would organize it's prestigious roster of artists to perform for a full stadium of attendants who were charged only a single dollar to attend. The concert was recorded and released as a record soundtrack for the 1973 documentary film tilted "Wattstax." Although the concert was filmed, recorded and staged with the proper intent of support to the urban life in the black community, Al Bell and the Rev. Jesse Jackson used the performance stage to further their political agenda of the clenched fist demonstration of "Black Power." Once again the mainstream media did not embrace this controversial stance. The Rev. Jesse Jackson (L) and Stax Records V.P. 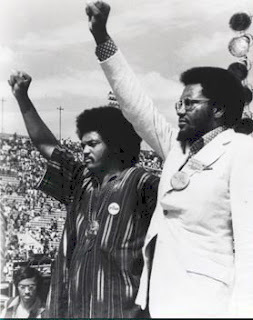 Al Bell (R) abuse the privilege of being honored by making a political statement contrary to economics of the promotion and marketing efforts of the Wattstax film and soundtrack. Although this project helped elevate the profile of African American culture, it's success at the box office and record shops was undermined by this stance resulting in short term success. Was this an act of civil rights, or a stage of civil wrong? 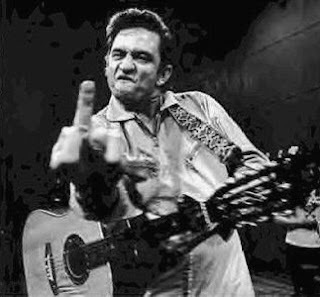 Pictured below is another demonstration of stage abuse as a young Johnny Cash displays his fist full of frustration to an audience in disbelief of his jester. Although Cash was a mega-superstar, few are aware of his extensive time spent in the pokie during an early stage in his career. Either it be the Academy Awards, or the Grammy's, or the acceptance speech of the MVP award at the Super Bowl, it's always best to never abuse the privilege of being honored on stage to justify your agenda. A clenched fist attitude delivered under those circumstances can be considered as a bottom rung of society's pulpit.